Rolled, crepe-like cookies with a light butter-vanilla taste. 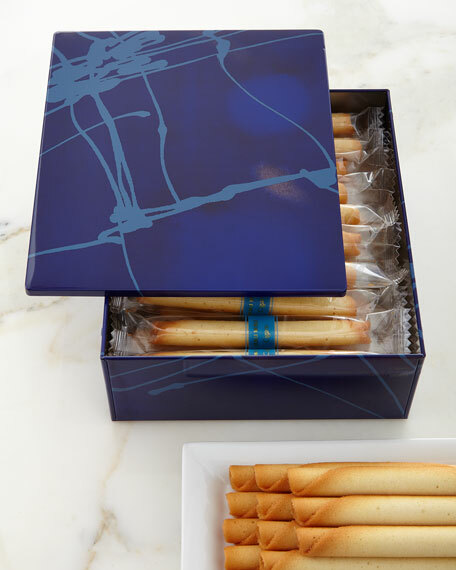 Approximately 30 cookies in storage tin. Tin, 9.5"W x 7.125"D x 3"T; net wt. of cookies, 12.95 oz. These all-natural butter creations are made in Tokyo and contain no additives, preservatives, or chemicals. And that unusual name? 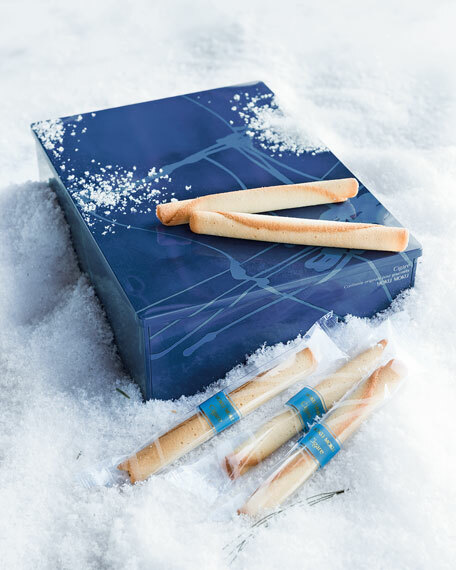 Chocolatier Noriichi Fujinawa named his company "Yoku Moku" after Jokkmokk, a village in northern Sweden where he first tasted and fell in love with European-style butter cookies over 30 years ago.